The 2-day course covers basic beekeeping. 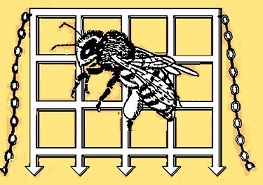 Keeping bees is rewarding and there is always more to learn. Attending a beginners' course is an excellent start because you learn about what is involved, how and where to set up your hive. We organise this course at the start of the bees' season so that there is still time, if you wish, to make a start with your first colony of bees. The tutors for this course are all experienced members of Romsey and District Beekeepers' Association so you will have several beekeepers on hand to answer your questions. The course includes a visit to the bees (weather permitting) where we will open a hive so that you can see and handle bees. We can lend protective clothing if you do not have your own.